Last week, senior Republican politicians met with White House officials to discuss a new carbon tax proposal backed by the group, which includes former secretaries of state James A. Baker III and George P. Shultz, former chairmen of the Council of Economic Advisers Martin S. Feldstein and N. Gregory Mankiw, and former treasury secretary Henry M. Paulson Jr. According to a recent Washington Post editorial highlighting the conservative merits of the policy , the plan “would defuse the climate issue for Republicans, without growing government revenue, while rolling back energy regulations and sending Americans a regular check in the mail.” Yet the proposal will not move forward without contention, as industry groups are likely to continue to oppose regulation and environmental groups voice concern that implementing a carbon tax without capping emissions is not a wholly effective solution. “A carbon tax provides price clarity but does not provide certainty as to the quantity of emissions reductions due to uncertainty over future emissions trajectories, costs, and mitigation technology,” according to RFF’s Marc Hafstead, Roberton C. Williams III, and Gilbert E. Metcalf. To address this uncertainty, their work outlines the creation of an adjustment mechanism for the rate of a carbon tax to ensure that emissions milestones are met over a given timeframe: “A time profile of tax rates is set over a control period. 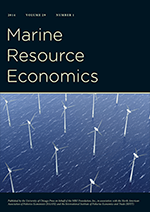 If emissions deviate from intermediate benchmarks set by the policy, the tax rate adjusts in order to bring emissions back toward the benchmarks.” The authors also provide guidance for designing a cost-effective and politically realistic carbon tax policy incorporating the mechanism. Note to industry: you should be in favor of cap-and-trade (duh).